Sarah Reay lives in Belsay, Northumberland. 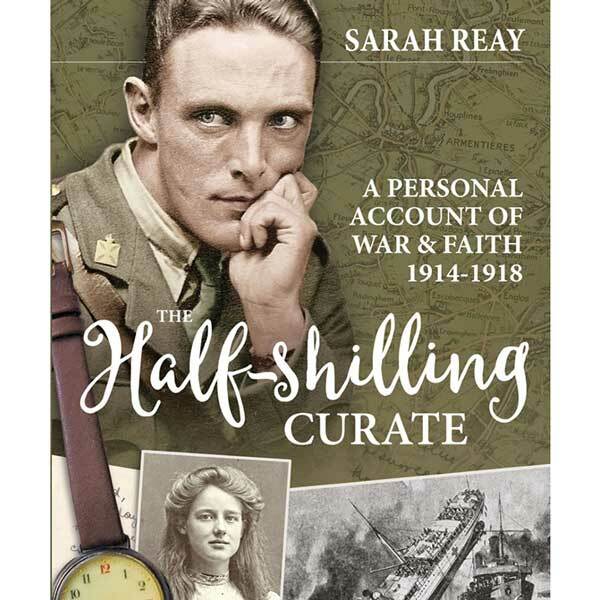 At the end of 2016, her grandfather’s story from the Great War was published, The Half-Shilling Curate, A Personal Account of War & Faith 1914-1918. It is now in its 3rd edition. In 1915, her grandfather, Army Chaplain, Rev. H.B. Cowl M.C. was attached to the 68th Brigade which comprised Northumberland Fusiliers and Durham Light Infantry. Her grandfather became the only known chaplain in the Great War to be awarded the Military Cross Medal for gallantry on a ship. She wrote his story after discovering his letters which he wrote home to his parents during the war. They were beautifully written and so descriptive that she felt she had to research and write his unique story. ‘A good chaplain is as valuable as a good general’; and this book proves it. Meticulously researched and brilliantly written, it is a book to be read whether schoolboy, historian or retired general. The Half-Shilling Curate is about a man of outstanding qualities from whom we all have something to learn. The book also featured in The Times Literary Supplement where historian Allan Mallinson wrote: ‘Love and decency shine from the pages in both words and photographs’.